You have a creative mind. Use it! Happy Sunday, everyone! One of the problems people have, is that they are permanently thinking about ways to eliminate panic attacks, and whether they will have a good or bad day today. Today, try and find an activity or hobby which will interest you and challenge you. Try and engross yourself in this activity, so that you are thinking about it most of the day. Understand what I am saying? Instead of spending the day thinking of your attacks and how to eliminate panic attacks, you are thinking of something else. If you can’t think of anything, try the last film you watched (in my case, it would be the Bond film, Skyfall). Think of the characters, the different scenes, the great clothes worn by the characters etc. How about your favourite football team and their last match? Think of the goals scored and the ones they missed. Go and watch a local match (the pic is of my son, whom I watch every week). Take up cooking a great meal each day. Spend your time planning it, buying the ingredients etc. Spend as much time as possible thinking about this new activity. Don’t give your brain time to regress back into negative thinking. 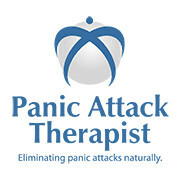 No more thinking over and over again about how to eliminate panic attacks. Make it an enjoyable task and eventually it will become habit. 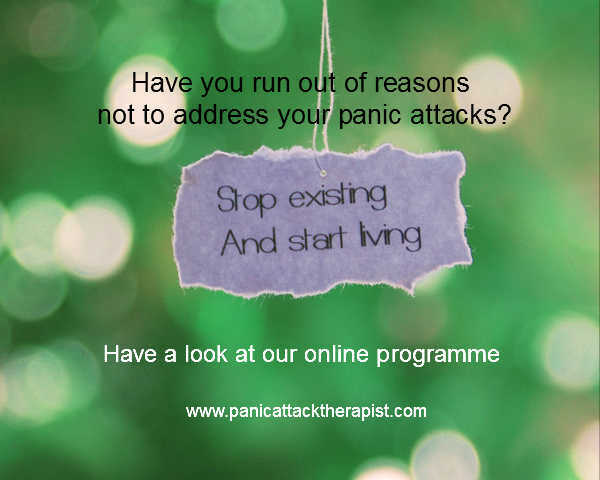 The less time you spend worrying about panic attacks, the less likely they are to appear. Don’t think about ways to eliminate panic attacks because, by doing so, you are empowering them and causing them to happen. eliminate panic attacks – take the first step today! eliminate panic attacks by using this programme to understand your panic attacks and learn techniques to eliminate them permanently. Free mp3 recordings. *** Please note that, as with all therapies, results may vary from person to person.